Cloud-based generative design technology, which can provide nearly unlimited design options, has the potential to spur innovation, improve manufacturability, and improve quality. COMPUTER-AIDED DESIGN HAS COME A VERY LONG WAY since the early days of Ivan Sutherland’s Sketchpad in 1963. At the beginning, CAD was little more than a replacement for drawing boards, providing the ability to draw basic geometric primitives in 2D. Over the next two-and-a-half decades CAD experienced remarkable advances — going from its humble 2D beginnings, to 3D wireframes, to solid modeling, to parametric modeling with the release of Pro/ENGINEER in 1987. Simultaneously, the hardware used to run CAD became more and more powerful and affordable, going from dedicated mainframes, to UNIX workstations, to PCs. The introduction of parametric modeling was, without a doubt, a game-changer in the industry. The ability to define geometric constraints and relationships between geometric parameters significantly increased design productivity and opened the door to interesting integrations such as between CAD and simulation and mathematical modeling tools. However, setting aside the obvious advancements in usability, performance, quality, and affordability that CAD has experimented since then, the truth is that CAD hasn’t experienced a significant paradigm change since parametric modeling. Until now. Once again, advancements in hardware and software – cloud computing, artificial intelligence, machine learning, generative algorithms — are conflating to reach an inflection point and bring about a new era of CAD: The Era of Generative Design. In this era, humans will use computers as design collaborators to create the design, as opposed to just tools to document it. They will tell the computer what they want instead of how to do it. With generative design, designers and engineers input design goals into the software, along with parameters such as materials, manufacturing methods, and cost constraints. Then, using cloud computing, the software explores all the possible permutations of a solution, quickly generating design alternatives. Generative design mimics nature’s evolutionary approach to design; it tests and learns from each iteration what works and what doesn’t. With generative design, there is no single solution; instead, there are potentially thousands of great solutions. You choose the design that best fits your needs. Topology optimization: with this approach, the software runs analyses to identify unnecessary material, removes it, and iteratively repeats the process until some performance criteria (for example, weight) is met or exceeded. This approach has actually been around for over 20 years, but has gained renewed prominence with the emergence of additive manufacturing, which allows for the more complex geometries that this method usually produces. Lattice and surface optimization: this approach applies internal lattices and optimized surface structures to an existing component to make it lighter and stronger. 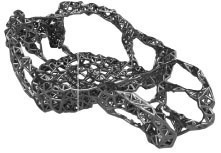 Form synthesis: while topology and lattice optimization are loosely considered generative design approaches, strictly speaking they are form optimization algorithms; they start with a known form and iteratively add or remove material until it meets some performance criteria. Form synthesis, on the other hand, truly generates design alternatives based on a set of parameters and constraints. This approach allows designers to input specific design objectives, including functional requirements, material type, manufacturing method, performance criteria, and cost restrictions. Loaded with design requirements, the system then searches a procedurally synthesized design space to evaluate a vast number of generated designs for satisfying the design requirements. The resulting design alternatives are then presented back to the user, along with the performance data of each solution, in the context of the entire design solution space. Designers are able to evaluate the generated solutions in real time, returning at any point to the problem definition to adjust goals and constraints to generate new results that fit the refined definition of success. Once the design space has been explored to satisfaction, the designer is able to output the design to fabrication tools or export the resulting geometry for use in other software tools. Boost innovation: generating thousands of design alternatives allows designers and engineers to explore nontraditional solutions they couldn’t have imagined before. Reduce the barriers between design and manufacturing: manufacturability is baked into the generatively designed solution. So, instead of defining the geometry of a part and then checking it for manufacturability, the system generates a design that is manufacturable in the first place. If it cannot be made, it is not proposed as a design alternative. This effectively blurs the lines between design and manufacturing, and gets us much closer to ‘push button manufacturing’ nirvana. Increase quality: by simultaneously optimizing for materials, manufacturing methods, and cost. In the generative design era, humans will use computers as design collaborators to create designs, as opposed to just tools to document them. Generative design removes the limitations that used to force product developers to narrow down the number of design alternatives early in the development process. Airbus: The aircraft maker designed a new cabin partition for its A320 plane. The goal was to reduce its weight, while meeting structural performance requirements to meet industry regulations. The software generated more than 10,000 design permutations for the partition, presenting them in a visual graph that made it easier to filter and explore them, analyze tradeoffs, and finally select an alternative. The selected design is 45 per cent (30 kg) lighter than current designs. Airbus estimates that the new design approach can save up to 465,000 metric tons of C02 emissions per year, the equivalent of taking about 96,000 passenger cars off the road for one year. Airbus won a Manufacturing Leadership Award earlier this year for this project. 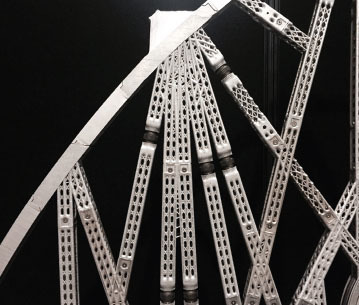 MX3D: This robotics company is the first to use generative design to create a bridge, which 3D-printing robots will manufacture to span a canal in Amsterdam. 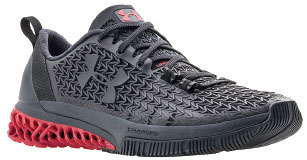 Under-Armour: Using generative design, the sportswear company generated the lattice structure for its 3D-printed Architech shoe and also designed the lattice midsole for a stable heel structure with the appropriate elements of cushioning for strength training. Stanley Black & Decker: The tool maker wanted to reduce the weight of a tool used by electrical line workers every day called a hydraulic crimper. A conventional crimper weighs 15.4 pounds and is used hundreds of times in a work shift. The team focused on a small metal attachment weighing approximately 5.5 pounds that helps the crimper clamp onto wires. 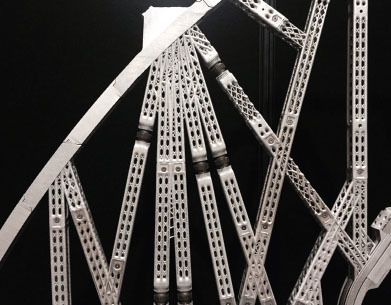 The resulting design – weighing a little over 2 pounds — uses a latticed structure which can be manufactured using 3D printing. 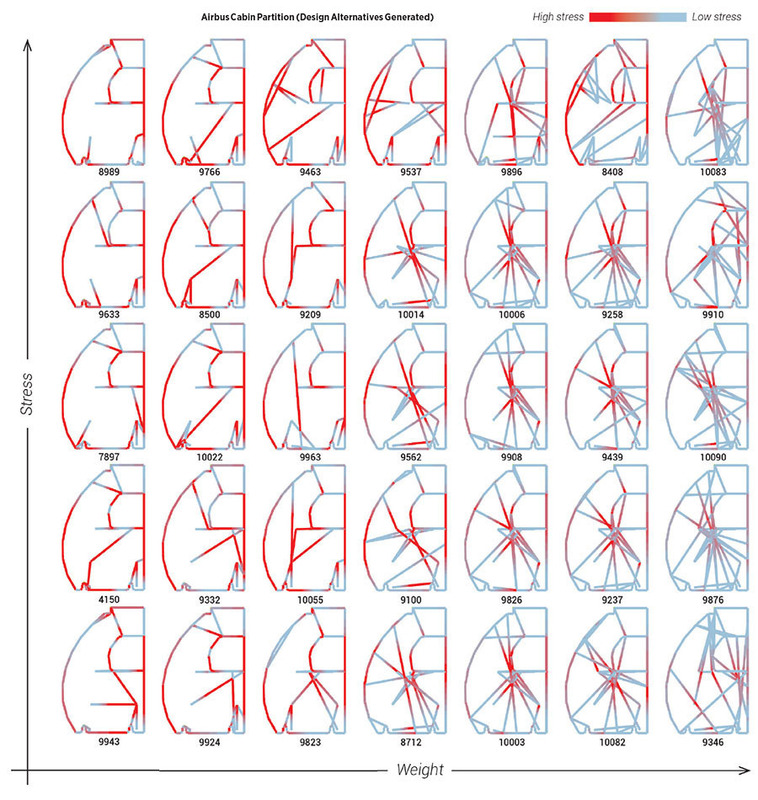 Enhancing Generative Design with Machine Learning: This will enable generative design algorithms to “learn” from past results, manufacturing information, sensor data, etc., effectively improving themselves. And not only would the generative design algorithms get better with time, but any learnings would get instantaneously propagated, shared, and preserved forever. Extending Generative Design to Systems: so far, the focus of generative design applications has been on the design of single components. The next step is to extend generative design to systems (for example: assemblies, factories, and supply chains). In fact, Autodesk has already tested this idea in the design of its new office and research space in the MaRS Innovation District of Toronto. We began the process by collecting data from employees and managers about work styles and location preferences. We then developed six primary and measurable goals: work style preference, adjacency preference, low distraction, interconnectivity, daylight, and views to the outside. We created a geometric system with multiple configurations of work neighborhoods, amenities, circulation, and even stacked private offices. Then we automated the process of exploring thousands of configurations and discovering ones that managed trade-offs and scored best. Generative design algorithms could also be programmed to define the optimal sequence of manufacturing operations to fabricate a part, taking into consideration the manufacturing capabilities available in house. Or the best layout for a factory, based on product mix, manufacturing equipment, and physical space could be designed. Another option is to plan the best supply chain for maximum efficiency and flexibility. The possibilities are endless. We are witnessing the dawn of a new era of design, one that will be even more game changing than what parametric design was a few decades ago. By relieving designers and engineers from the drudgery of telling the computer what to do, and allowing them to focus on what they are trying to achieve, creativity, innovation, and productivity will skyrocket. In the time it would have taken them to do just one design, generative design has done thousands. The era of compromising between innovation and resources is over. Generative design will fundamentally change the way we design and make things. The next step for the application of generative design is to extend the technique to systems such as assemblies, supply chains, and even factories. Diego Tamburini is Manufacturing Industry Lead, Industry Experiences Team – Growth & Ecosystems – Cloud & Enterprise, at Microsoft Corp. Prior to this position, Tamburini worked in manufacturing industry strategy for Autodesk, product planning for Microsoft Dynamics ERP, technical evangelism for Microsoft’s Global ISV team, PLM research at the Georgia Institute of Technology, and as a consultant implementing enterprise PLM systems for SDRC (now Siemens PLM). Tamburini is a member of the Manufacturing Leadership Council.